Our liver is a phenomenal organ, playing a critical role in every bodily function. The liver’s major role is to filter our blood, removing toxins and cleansing our blood constantly. It also aids in protein production, cholesterol levels, glucose metabolism, blood clotting, and bile production. Liver disease is caused from chronic inflammation of the liver, causing stress and damaging the liver cells over time. If chronic inflammation continues, the liver tissue will scar over the damaged cells and become far more fibrous and ineffective. Once sufficient scarring occurs the liver can no longer do its job properly, causing serious health risks and in worst cases death. The most prolific man of medicine Hippocrates was famous in quoting, “Good health begins in the liver”. 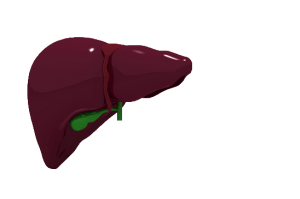 Liver health directly corresponds to overall health and length of life. The liver is the middle man between our blood stream and our digested raw material, from water to bile, chemicals and energy. Filtering and detoxifying our blood and ensuring the healthy production of blood glucose, proteins and cholesterol. Store surplus glucose in liver cells, known as glycogen until converted back to glucose for energy. Liver Cirrhosis refers to when the liver is permanently damaged and scarred, caused by chronic inflammation. Our livers become inflamed and scar because of the immense amount of work we put them through. Modern diet, air pollution, chemical exposure in food and water, processed foods, smoking, alcohol consumption, hydrogenated fat consumption and lack of exercise all damage our liver. Causing liver cells to be damaged, our bodies respond with acute inflammation to heal the damaged liver, but if the problem is not remedied it becomes chronic inflammation which causes serious long term damage to the liver. Inhibited liver function causes extreme stress on our bodies and even further stress on the liver itself. SynergiaGSH had many benefits to your immune function, along with direct health benefits for your brain and cognitive ability and liver health, it is built upon an effective anti-inflammatory foundation. Reducing inflammation and allowing the body to heal itself naturally, chronic inflammation being the key contributor to liver disease it must be stopped before healing can occur. Numerous ingredients in SynergiaGSH directly target liver health and function, allowing it to work properly and filter out toxins effectively. Acetyl-L-Glutathione is the most important component of our immune system and overall health. 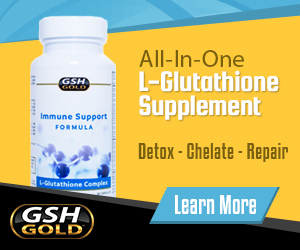 Glutathione levels are directly correlated with liver health and function. Supplementing with Acetyl-L-Glutathione allows your bodies cells, liver cells included, to heal, repair and maintain cell protection. Increasing the livers healthy cells allows it to work at maximum efficiency and detoxify your body properly. Acetyl-L-Glutathione is the bioavailable oral supplement that promotes Glutathione levels and its ability to recycle itself throughout the body. The super antioxidant and immune pillar. Ubiquinol Coenzyme Q10 is an extremely effective free radical hunter, along with its antioxidant and cellular energy properties, CoQ10 makes it much easier for your liver to do its job. Ridding the body of many toxins the liver might have trouble dealing with on its own, due to an overload of toxin intake or inability to keep up with the demands. Coenzyme Q10 Ubiquinol also plays a key role in cellular energy transfer and respiration, allowing your cells to stay healthy and properly function. This affects your liver cells also, ensuring healthy cell activity and in turn healthy liver function. This Sabinsa patented form of Curcumin extract is very effective at reducing inflammation and relieving pain. These properties prevent further liver damage caused by inflammation, reducing the chances of developing Cirrhosis of the liver. Curcumin C3 also acts as an antioxidant, relieving the workload on the liver while it allows the cells to heal while relieved from chronic inflammation. Fucoidan is a type of extract from brown seaweed, widely regarded as an anti-cancer supplement with many other antioxidant properties. It also has had great success on reducing the risks of liver cirrhosis and promoting liver health and repair. Coupled with Acetyl-L-Glutathione and black pepper extract it can be absorbed easily and heal the liver extremely effectively. On its own Fucoidan has great benefits for your liver’s health, compounded with certain antioxidants and vitamins it becomes even more effective. Milk thistle has been used for thousands of years to promote health, fight cancer and target liver health specifically. The active ingredient Silymarin repair damaged liver cells, cells damaged from toxins and oxidation. Milk Thistle Silymarin has been used to treat the damage done to the liver by alcohol consumption with very positive results. Any liver cell damaged by toxins, from alcohol or any other source, including free radical damage can be greatly aided by the supplementation of Silymarin. Milk Thistle’s powerful effects on liver health are only the beginning of this substances power, as mentioned before its powerful anti-cancer properties also promote healthy cells while repairing damaged cells. Damaged cells can lead to chronic inflammation and cancerous development. Each ingredient plays a specific role in SynergiaGSH, most are targeted toward liver health and in turn immune health, as well as cognitive health. Each top quality ingredient compliments the other, this is why the synergy of the ingredients is so important. Allowing each component to maximize benefits and work like no other supplement on the market. Reduce your risk of liver disease and ensure chronic inflammation won’t dictate your life, and quality of life above all. Reducing inflammation while promoting healthy liver cell function gives your body and immune system the tools it needs to fight off the daily barrage of toxins and foreign contagions. Work with your doctor and monitor your liver markers along the way. The liver is an amazing organ and if provided with the proper nutrition, it will continue to work seamlessly and ensure a long healthy life. The ALT blood marker is a strong indicator of inflammation status, Glutathione reserves, oxidative stress and effectiveness to detoxify of the Liver. Along with several other liver health tests you can monitor your liver health and in turn, overall health. Track your progress and see the benefits of SynergiaGSH at their source.